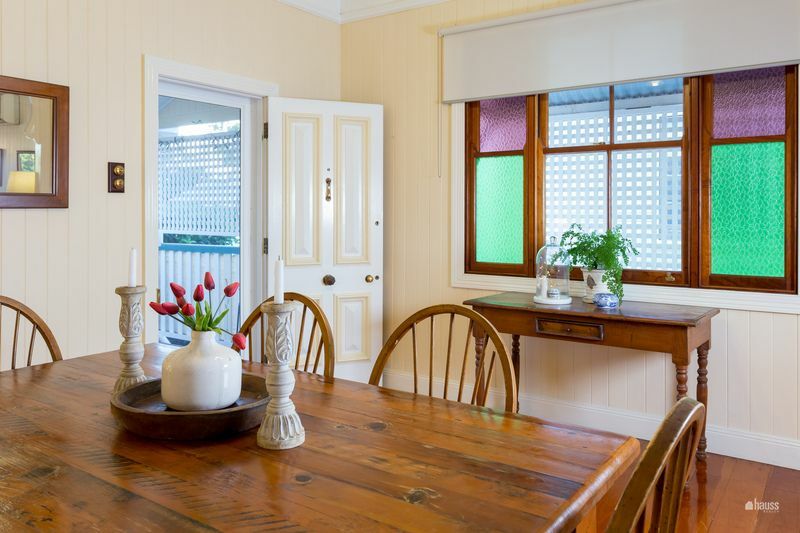 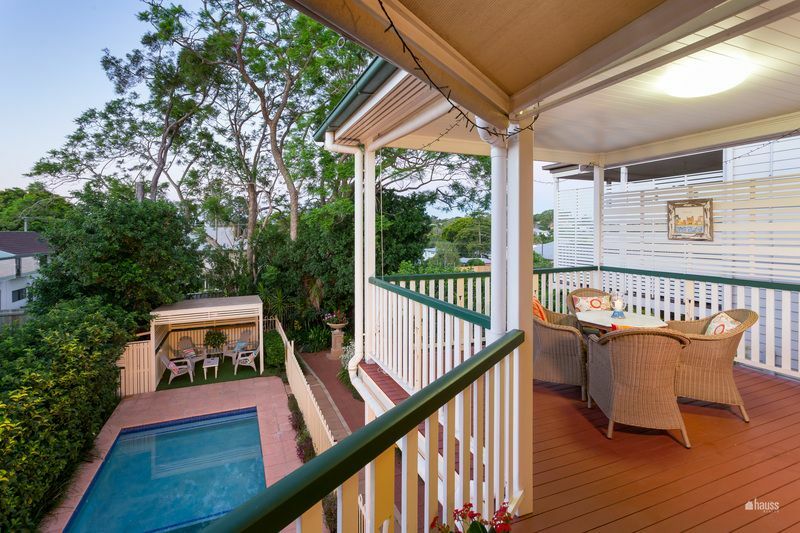 French doors, high ceilings, VJ panelling and ornate fretwork add to the romance of this classic Queenslander. 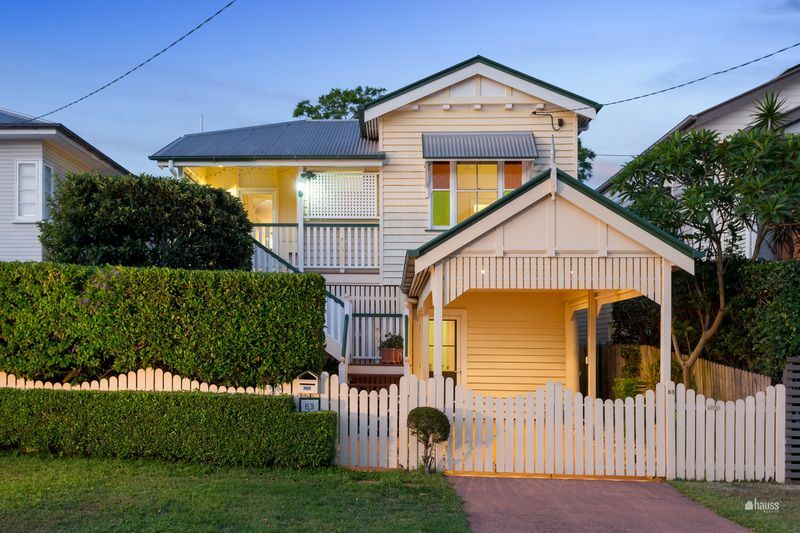 Set on a 405m2 block this beautiful four-bedroom, two-bathroom home is light and airy with a natural flow through from front to back. 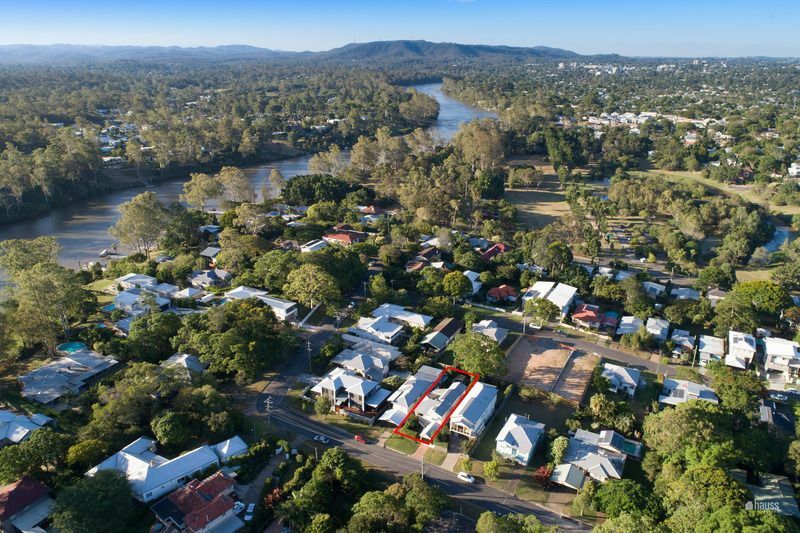 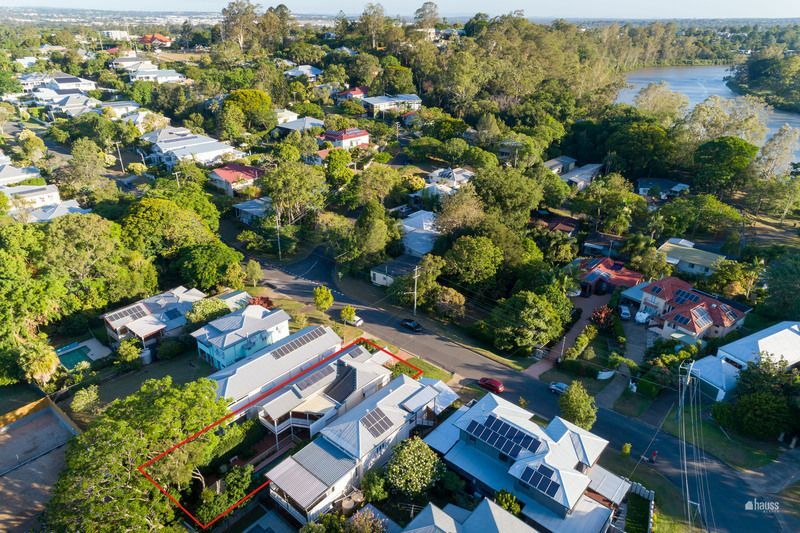 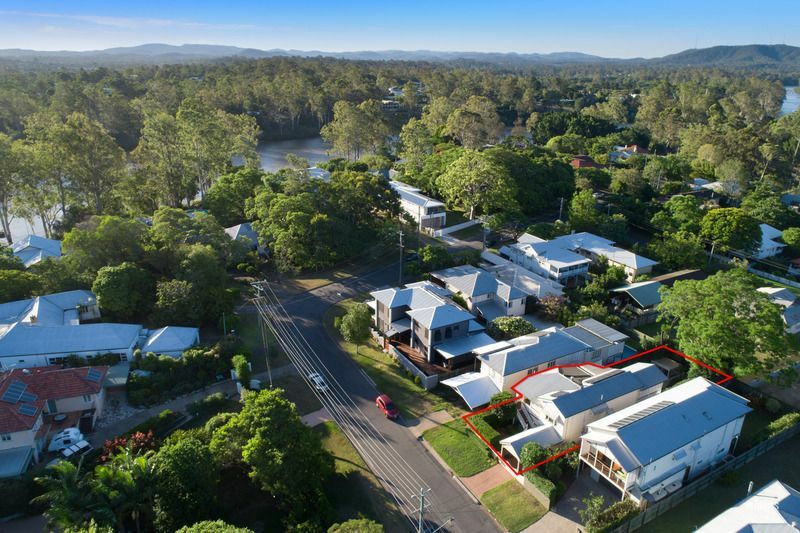 It offers two separate family zones which extend outside and capitalise on the benefits of the temperate Brisbane climate. 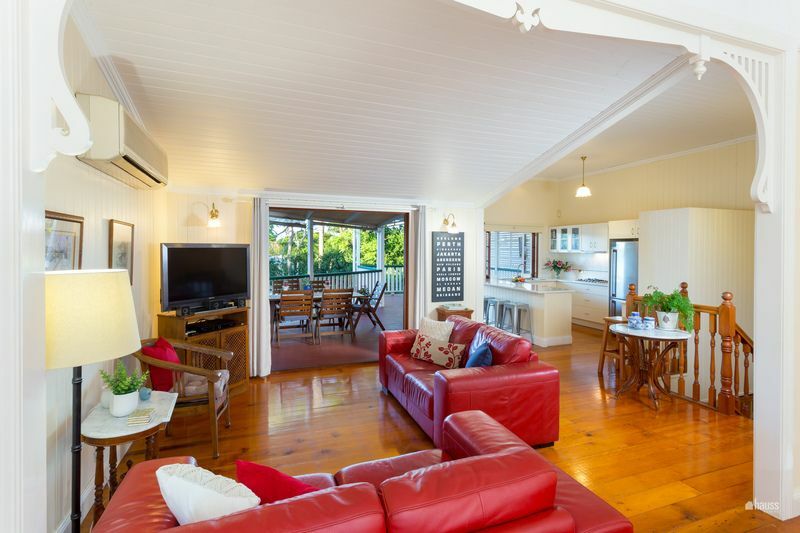 The upstairs kitchen, living, and dining area is open plan and sweeps through to the big breezy veranda which overlooks the luxurious pool and slatted pergola. 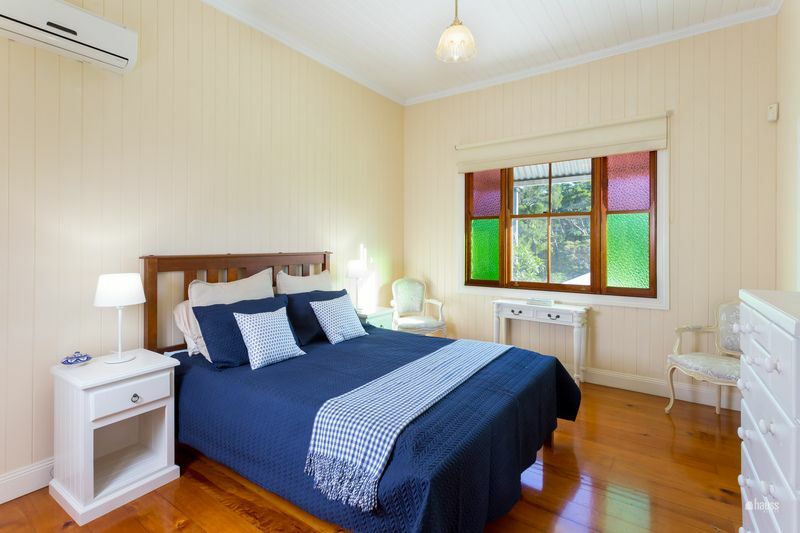 Floorboards run throughout the upstairs living zone and master bedroom, with the dining area showcasing a traditional style lead-light window and the neutral colour scheme blending well with the traditional features and wooden trims. 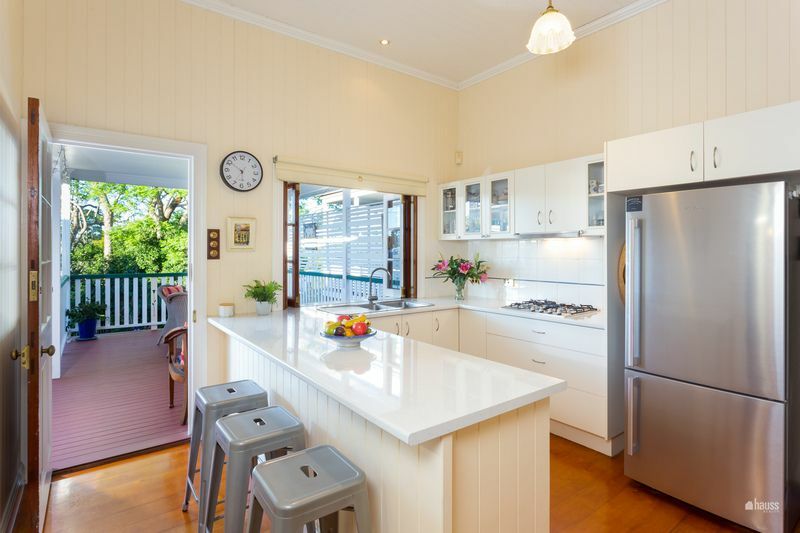 Bi-fold windows open out from the updated kitchen, with gas cooktop, onto the main veranda, an ideal spot for kids to munch on their afternoon tea or for guests to perch as you prepare some delicacies in the kitchen. 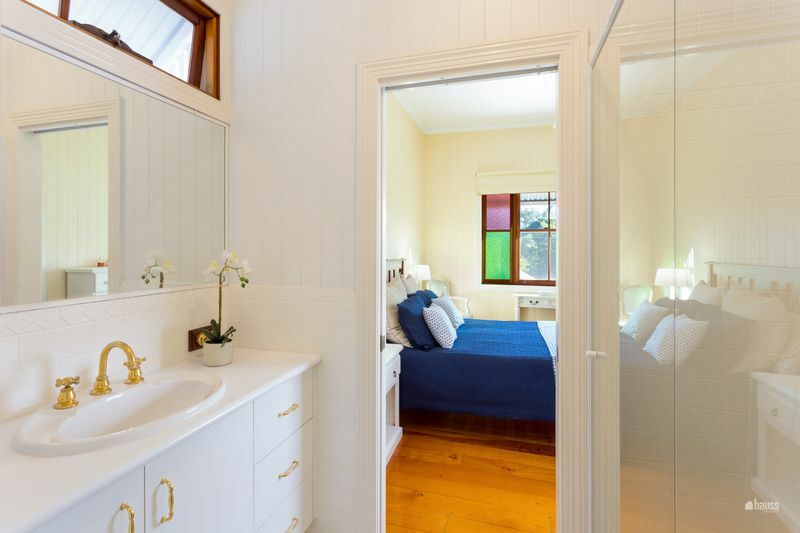 The large master bedroom has a naturally lit walk in robe and ensuite, with the separate toilet and sink acting as a powder room for the upstairs level. 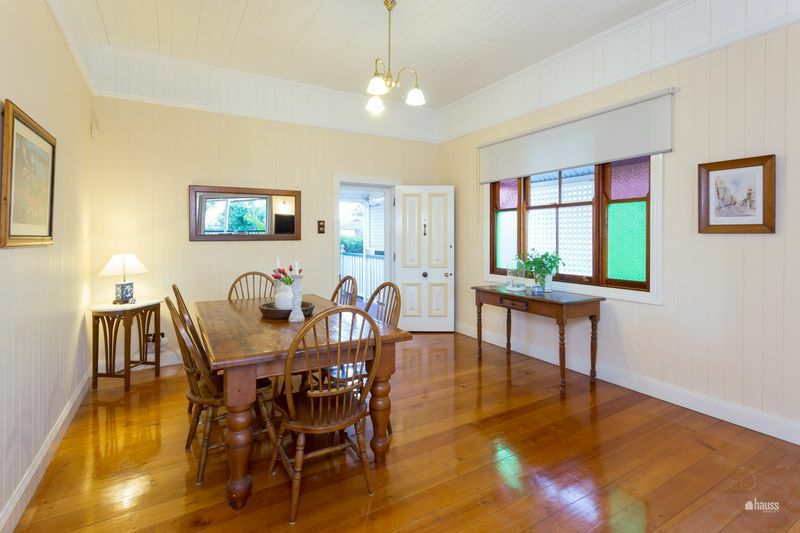 Downstairs houses three additional bedrooms, all with built in robes and two with carpet. 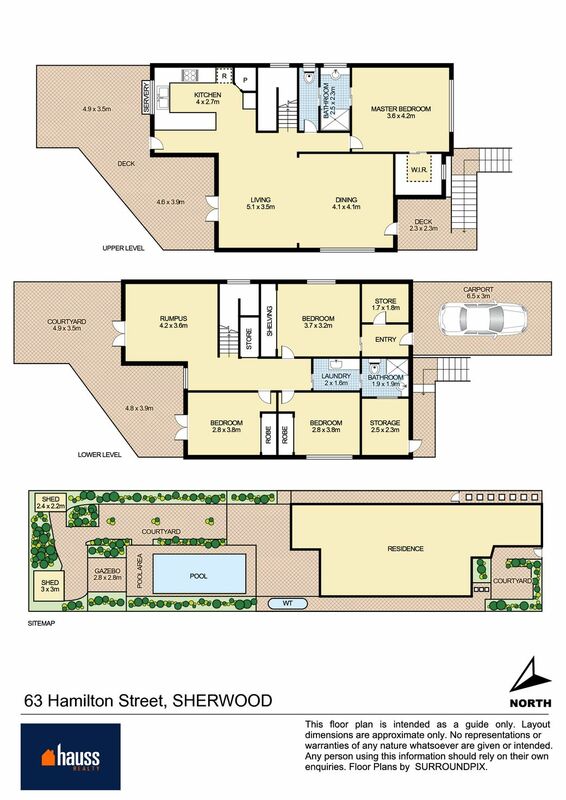 The large lower floor open family room extends out through French doors to the paved outside entertaining area and pool enclosure. 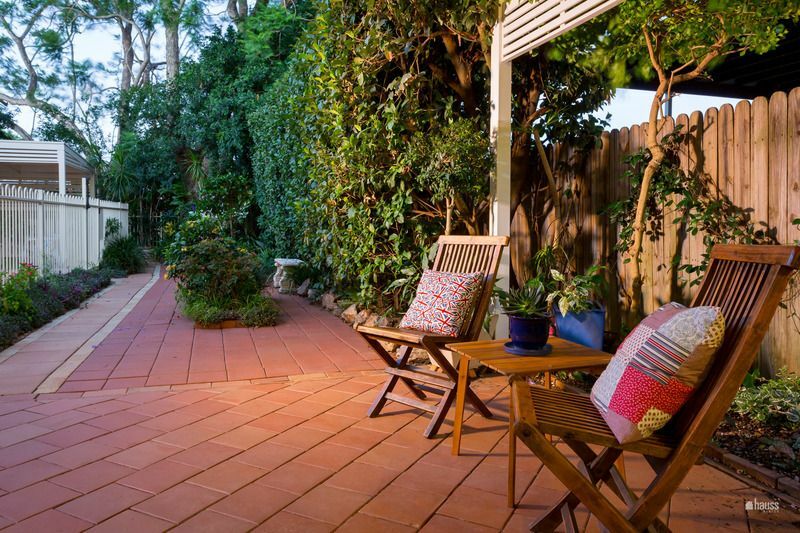 The paving has been edged with garden beds that have been strategically planted to maximise privacy from the neighbouring houses. 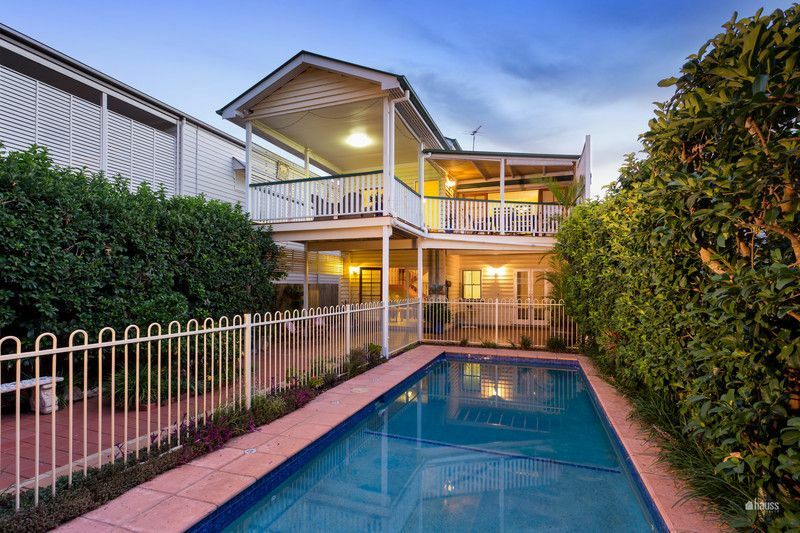 The property is fully fenced front and back offering additional security for pets and young children. 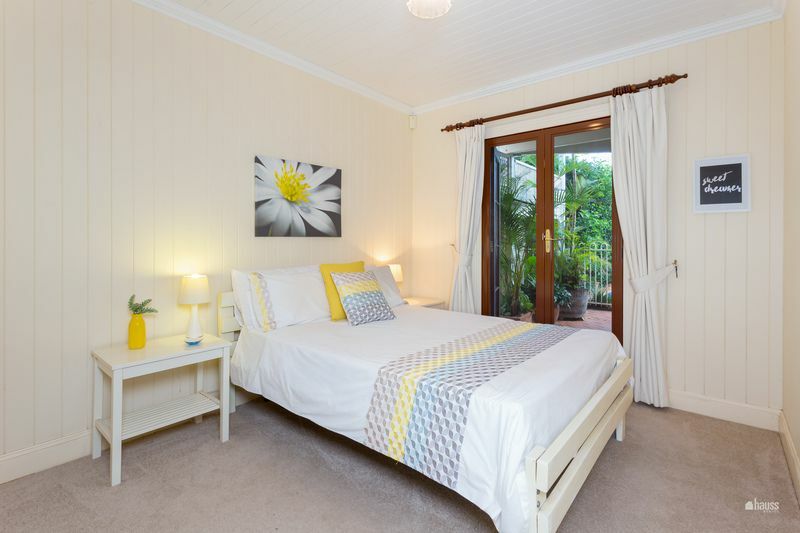 Other features include air-conditioning in the upper living zone as well as the master bedroom, security bars on the downstairs windows, a direct security entrance door from the gated carport into the fourth bedroom and loads of storage space and a backyard shed. 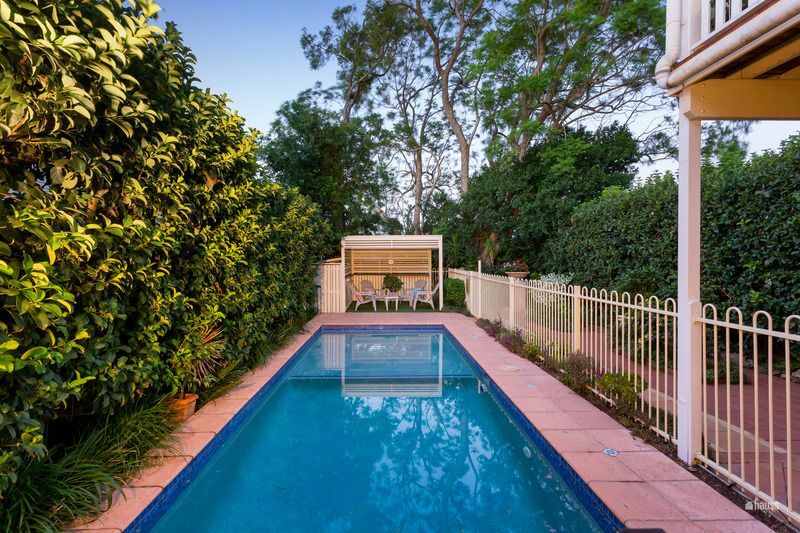 Located in the highly sought-after family friendly suburb of Sherwood renowned for its community feel, choice of excellent cafes and restaurants, and both private and public schools 63 Hamilton Street is an easy walk to St Aidan’s Anglican Girls School and the Sherwood Arboretum. 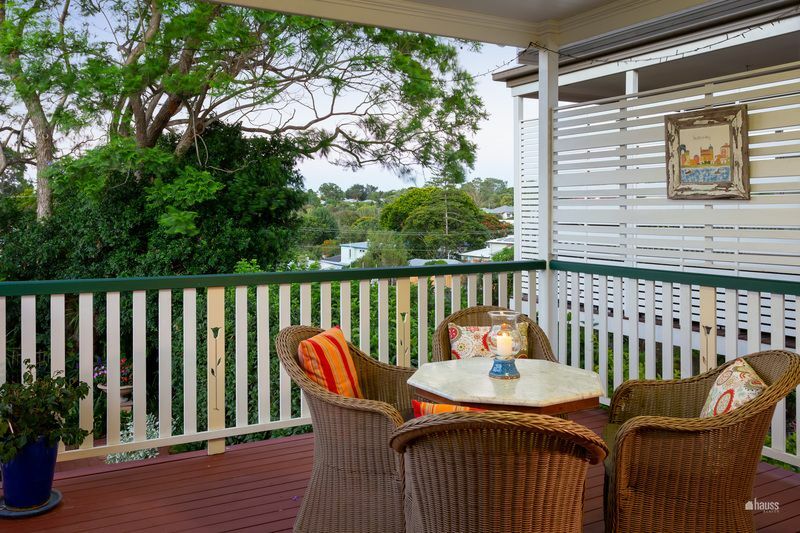 It sits within walking distance to public transport, shops, parks, schools and the river. 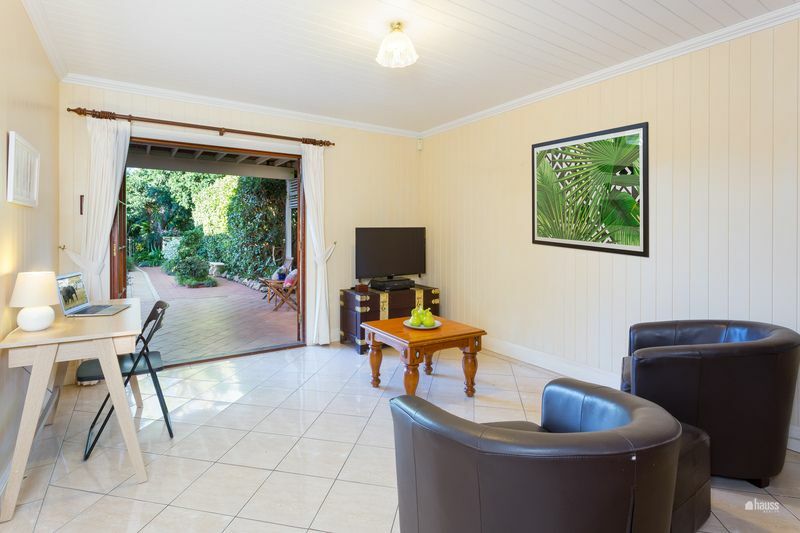 The position is quiet, with loads of on-street parking and a gated one car carport.